One new product that will certainly be making a fun splash at CES this week is from Ten One Design, the same company that brought Apple fans such fun things as the Magnus Air and Magnus mini iPad stands, the Pogo and Pogo Connect styluses. Next month they'll be shipping a new item that you can pre-order now, the US$24.95 Mountie. What's the idea behind Mountie? It uses a strong rubberized grip and swappable inserts that provide a way for you to attach any iPhone after the iPhone 4, the iPad Air 1/2 or the iPad mini to any MacBook or post-2012 iMac. It comes in two colors, neither of which you'll actually see while using the device - blue and green. You can then use your "second screen" to do a lot of different things. 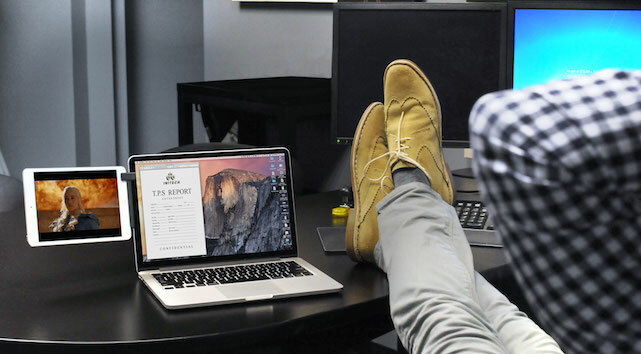 Use Mountie to take a break from work by watching a movie or your favorite show on an attached iPad, have your iPhone cranking out music while you're blogging, or even use an app like Duet Display to turn your iPhone or iPad into a second Mac display. Mountie looks like a useful product and the price is right on the money. 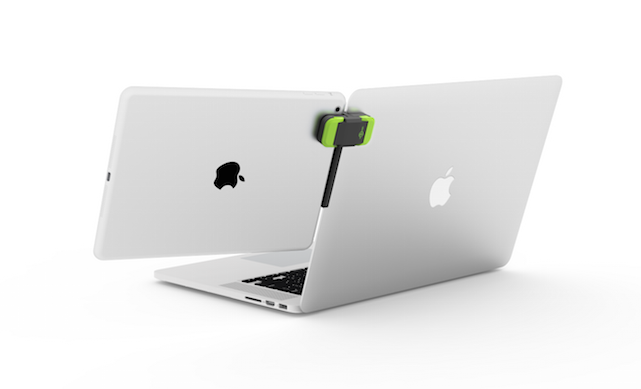 Rather than taking up valuable desk space with a traditional stand for your iPhone or iPad, you can just stick it to the side of your MacBook or iMac in seconds. We will be reviewing Mountie within the next week or two, so stay tuned to TUAW. Oh, and if you happen to be in Las Vegas for the CES craziness, visit the Ten One Design folks at North Hall 6523. Mountie: An inexpensive and innovative way to attach iPhone or iPad to your Mac originally appeared on TUAW: Apple news, reviews and how-tos since 2004 on Sat, 03 Jan 2015 17:00:00 EST. Please see our terms for use of feeds.